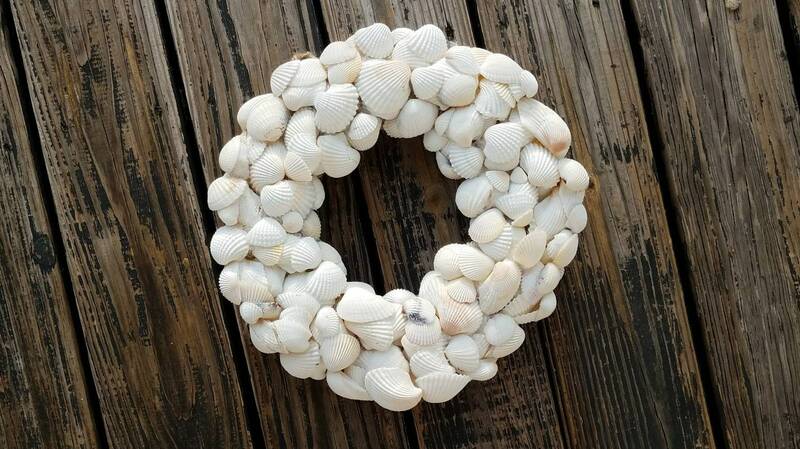 I love sea shells and enjoy working them into my work. 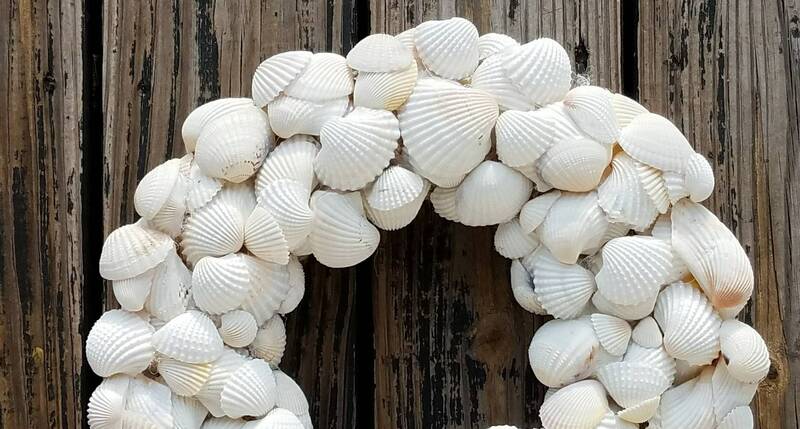 Years ago I created a shell wreath and once I had enough shells on hand I decided to recreate that wreath. 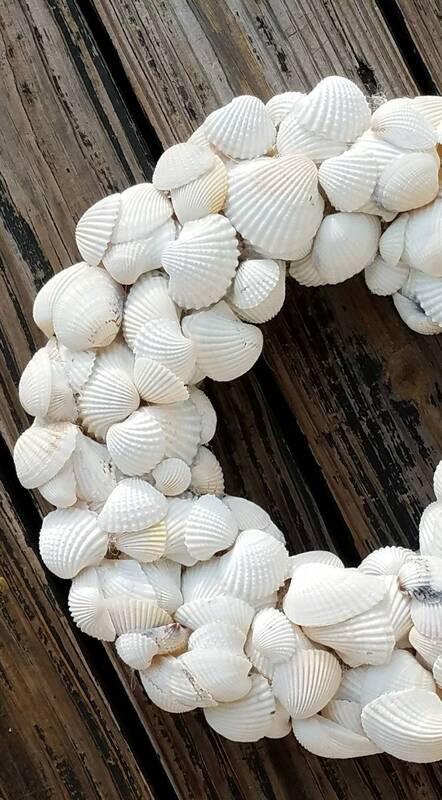 This wreath is composed entirely of cockle shells. 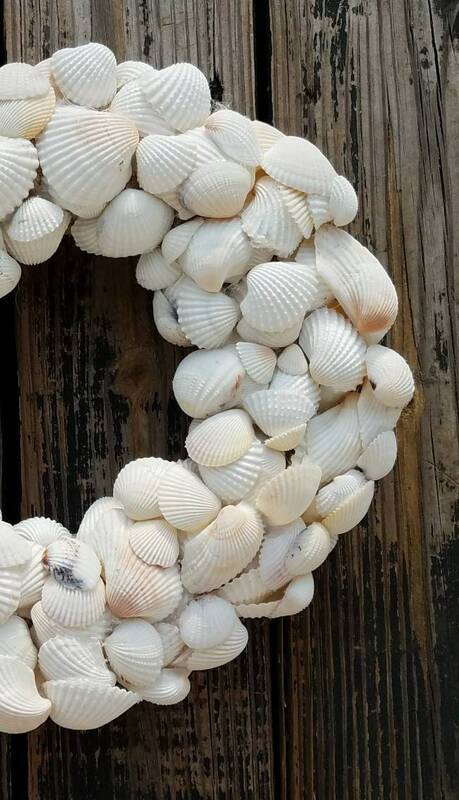 The light/white color makes it perfect for beach/cottage decor. 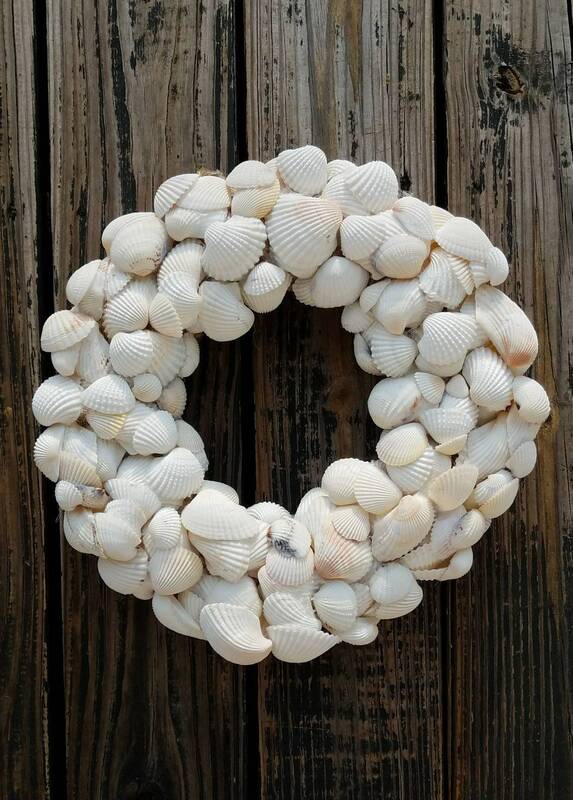 The shell wreath has 3 sizes. 13, 15, and 17 inches in diameter (tip to tip). It is a bit on the heavy side and the wreath form is covered straw.